This research/project is influenced by this following observation: we (Western society) are an over-consuming society, and it has huge negative impacts on Earth and its human and non- human inhabitants. I am doing a research on diverse fabrics made from natural and manufactured fibers to better understand the material used to make specific fabrics, and the impacts related to the process of it. The result of this study will be gathered in a book and a website aimed to help students from the Concordia University. I will also conduct a workshop series with students from the Concordia Faculty of Fine Arts in which they will design a project, on a specific theme. 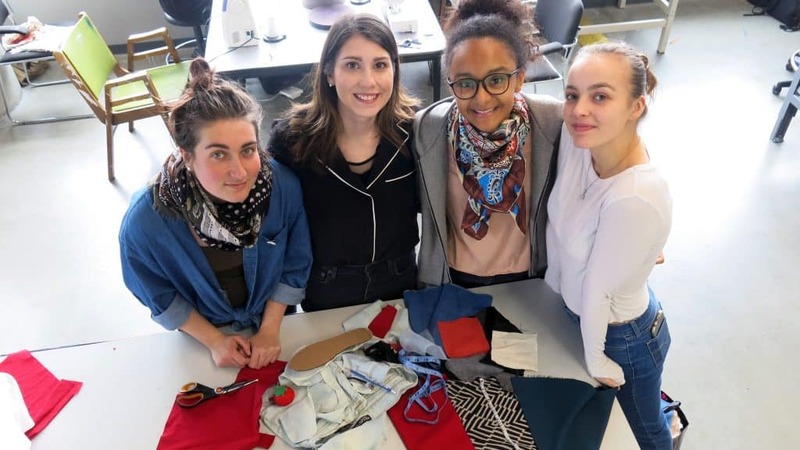 The goal is to observe and learn about their creative approaches to upcycle textiles. With their approval, the student works will be presented at the final MDes exhibition, in April 2018.